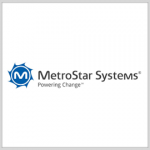 Robert Wren, a former chief information officer of the U.S. Army‘s medical department and a General Dynamics information technology business sub-unit, has joined MetroStar Systems as director of IT transformation and enterprise architecture. MetroStar said Tuesday the enterprise IT and healthcare technology professional will lead company efforts to address the innovation needs of commercial and federal healthcare customers. CEO Ali Reza Manouchehri noted that Wren’s enterprise, military and healthcare IT background serves to support MetroStar’s work to facilitate transformation at enterprises. Wren most recently served as president of IT and a cybersecurity consultant at Strategic Technologies Consulting. He was CIO and senior cybersecurity officer of GDIT’s Army integrated clinical systems program management office until May 2016.